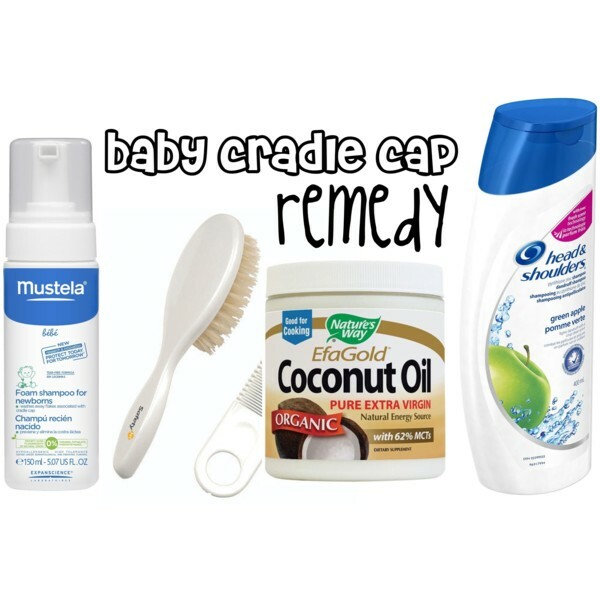 Any mom (or dad) will tell you cradle cap is a nuisance to deal with. No matter how many times you wash your little one's head it doesn't go away. When my son was two months old he had cradle cap and it lasted around two months. We tried everything! Well, everything in terms of the natural route. I hesitated using Head & Shoulders but when the pediatrician suggested it we decided to give it a go. Originally, the Mustela Foam Shampoo for Newborns worked for the first few months. We used it since he came home from the hospital. I love that it's gentle and doesn't overly foam up. Foaming is from the pump but once on dissipates. Didn't bother his eyes and gentle for body too. It does contain salicylic acid which aids in the exfoliation process. The trick here is in the oil, you need to loosen up the flakes by applying an oil. Let it sit for a few hours (or over night) and gently brushing the scalp. Originally, I used olive oil and although a good alternative I hated the smell. If I left it on overnight it would smell rancid in the morning. I prefer coconut oil, no brand specifically. I also preferred applying in the morning and giving him his bath before bed. Gently massage into scalp, emulsifying first between your fingers. Using a baby brush before washing your baby's head to loosen flakes. These steps and products worked for the first few weeks. Eventually, I had to use something stronger and I was very hesitant to use Head & Shoulders Shampoo (I like the apple scent version) but it worked. Use a small pea size and gently wash. Make sure not to get it in baby's eyes. When my son was small enough I use to wash his hair holding him like a football over the sink. Which worked perfectly to wash away the cradle cap. You'll have to use the Head & Shoulders a few times.